Did you know? Amazon Advertising can drive more than sales. Customers come to Amazon not only as a place to shop, but also as an outlet to discover brands and new Amazon original content. In fact, 80% of Amazon customers use Amazon to discover new products or brands.1 As a result, Amazon Advertising can help businesses reach millions of Amazon customers and deliver brand results by creating awareness for a product launch, driving brand discoverability, and supporting product education. Why launch a new product with Amazon? Businesses can leverage our brand display solutions to reach new customers and increase awareness for their new product. 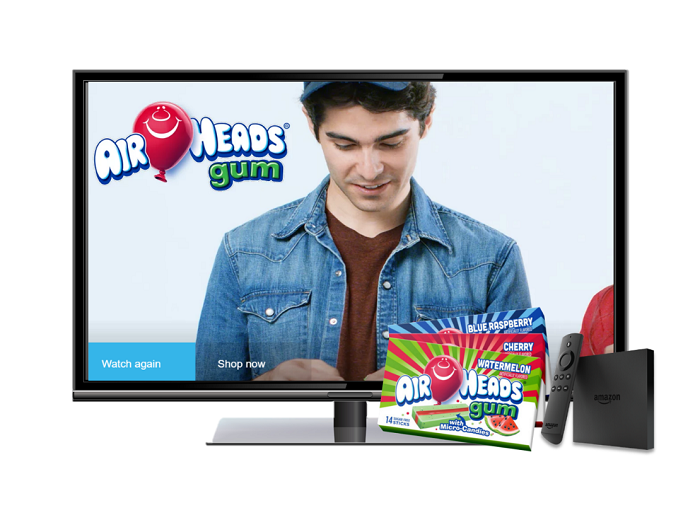 Airheads saw a 120% lift in aided awareness with their new product launch. How can Amazon Advertising help drive brand discoverability? According to a recent Quantcast study, 4 in 5 shopping journeys end with customers purchasing one of the first 9 brands they considered.4 We can help drive consideration by surfacing your brand and products in prominent places throughout Amazon.com and on exclusive devices like the Fire TV and Fire tablet. 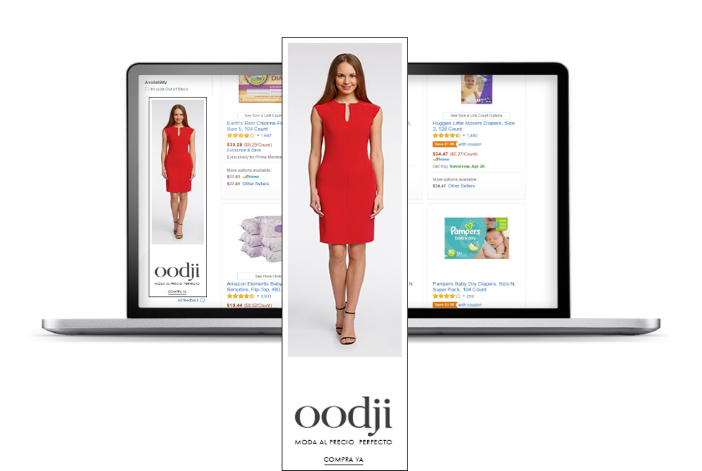 Oodji boosted their brand’s discoverability on Amazon with a 76% increase in branded keyword searches during the campaign period. 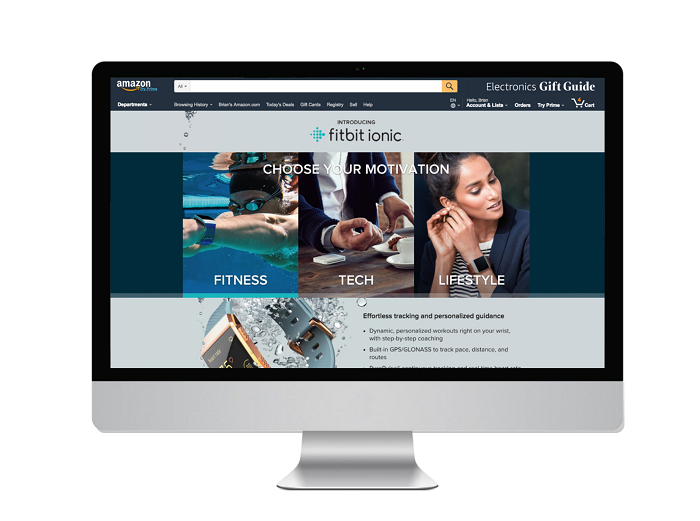 How can customers learn more about your product benefits on Amazon? Amazon has become a digital storefront: 70% of Amazon customers “window shop” on the site1. Our ads and product detail pages have information, customer reviews, and videos that promote product or brand education. Fitbit drove product education for the new Ionic watch with a 50% higher click-through rate on Fire tablet. To learn more about our brand solutions, contact your Amazon account executive or get in touch with an advertising representative.